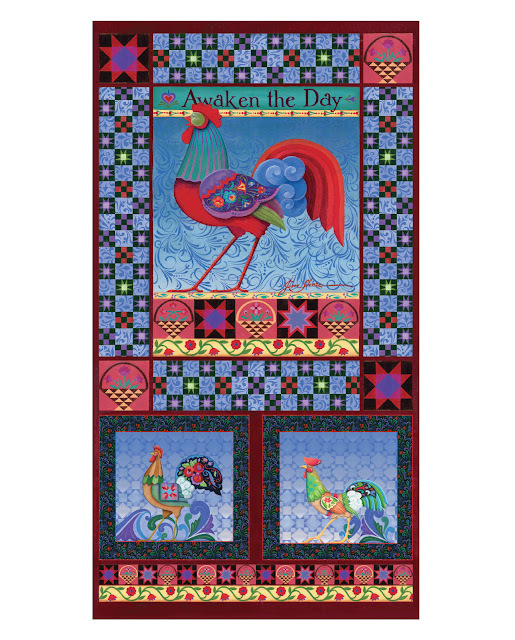 No one does folk art better than Jim Shore, and we're excited to share his newest fabric collection, Awaken the Day. It all starts with a rooster. 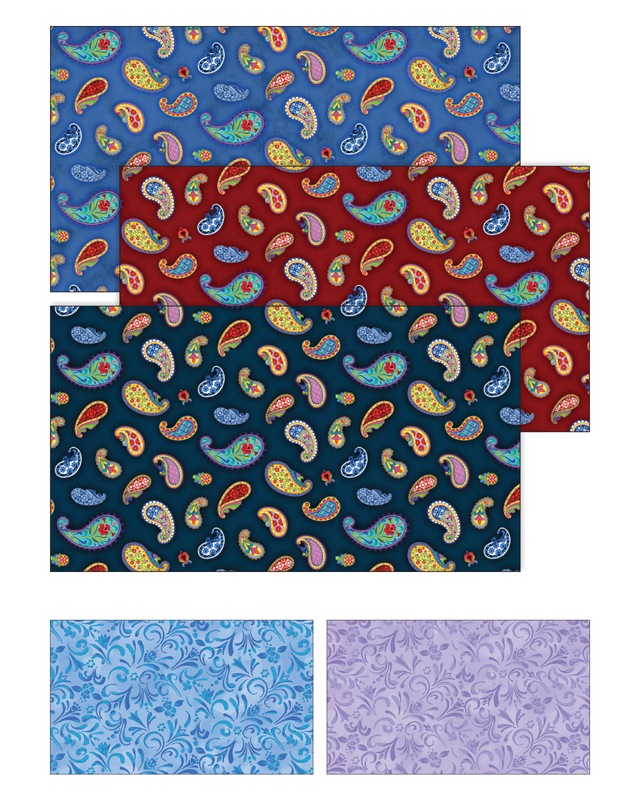 Add in vibrant colors, detailed quilting motif themed prints, and an eye-catching stripe, and you'll be ready to start your next quilt project. These prints will brighten any room! See the fabrics below and hear more from Jim about the rich Awaken the Day collection. What inspired you to feature a rooster on the panel? Roosters have always been one of my favorite subjects. My mother collected rooster designs, she had dozens around the house, particularly in the kitchen with everything from cookie jars to salad plates. When I was a kid, for her birthday or Mother’s Day or Christmas, or sometimes just when I was in trouble, I’d draw pictures of roosters to give her as presents. She loved them, or at least pretended to! So I have a lot of experience with roosters, and a lot of positive feedback! It just seemed right for this collection. Sort of a tribute to her. How do you decide which quilt blocks/motifs to use in your designs? I like to tell a story with my art, and try to use quilt blocks as part of the narrative. For an Irish piece I like to use an Irish Chain block, or for an Angel design maybe something warm like a Log Cabin. For Christmas pieces there’s a lot to choose from, I like to use the Bethlehem Star or variations of it. But it’s all a part of the story of the piece, usually giving it some sort of context or grounding. I do have several reference books to help with that, and the internet is a wonderful thing! 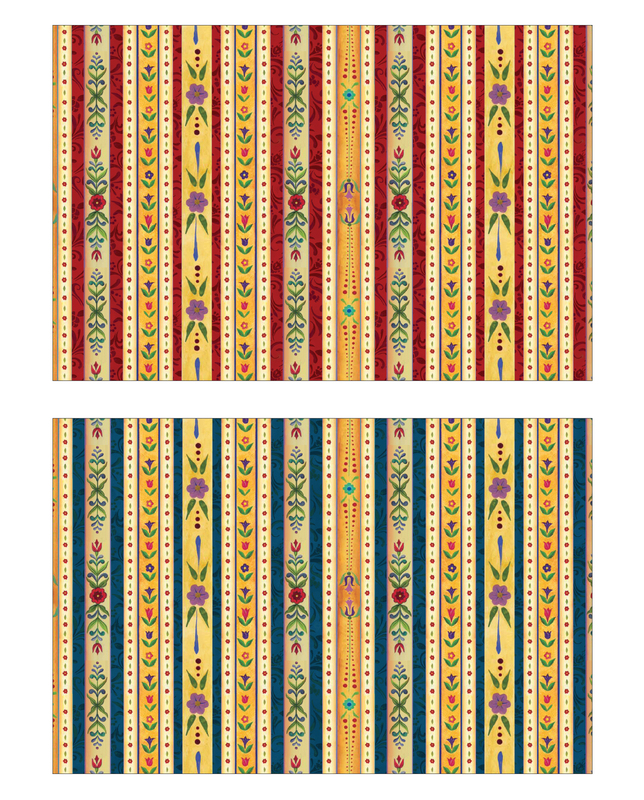 In what ways do you think that using quilting motifs in your art enhances the designs? Well like I say, it’s part of the narrative. 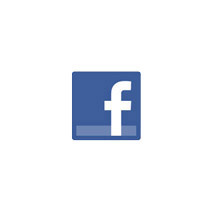 But I also think it’s a way to connect with people. Everyone seems to have some sort of association with quilts, one way or another. Either they are a quilter, know a quilter or have a quilt. They look at my art and see something that jogs a memory or emotion. And that memory or emotion is usually warm and comforting, like a quilt. Can you tell us about the main rooster? The Awaken the Day Rooster is one of my favorite designs ever. I painted it at a trade show as part of the exhibition and talked with people the entire time I was working on it. I like to think they all contributed something to the final design. Do you have a favorite print in the collection? If so, which one and why? I like how it all works together. I think that’s really the hallmark of a good collection, that the designs interact and compliment. This one fits the bill. Can you talk about the coordinates? 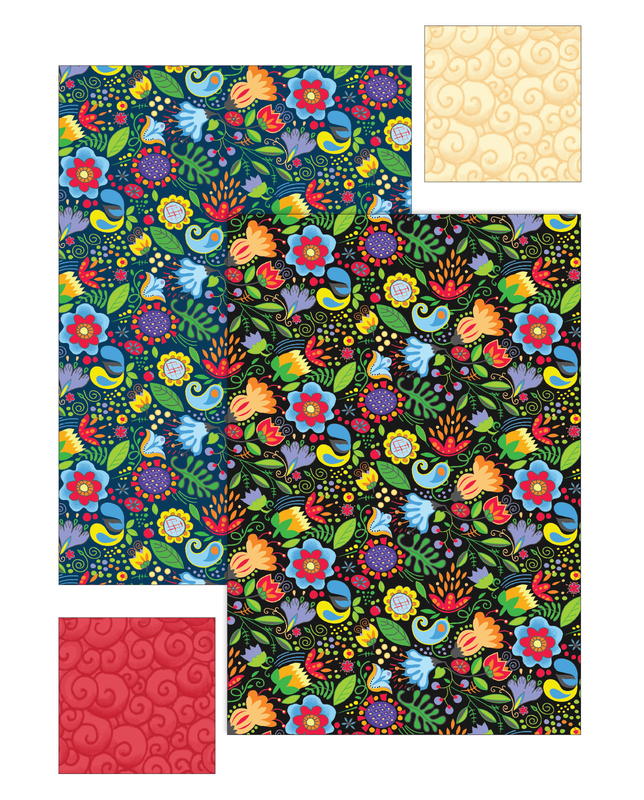 It’s my version of Rosemaling, I particularly like this one because it’s got roots in authentic folk-art designs. 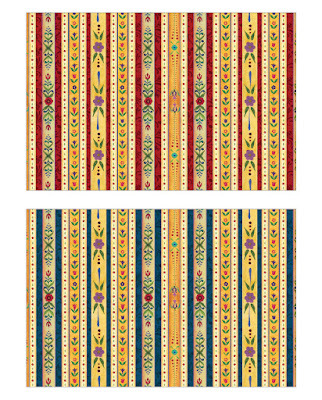 Do the motifs in Country Stripe show up in your other prints? Yes! I think that’s part of the discovery process. When you look at something new there are elements in it that bring you back to something you’ve seen. And I think that gives the quilter options to be creative, ways to bring those elements together or to use in contrast. Tell us about the paisleys. Paisleys are so much fun! Whimsical settings for scenes or designs or motifs, a way to coordinate a lot of different elements into a single piece. Your artwork has such a signature look. How do you ensure your fabric collections look different from each other? That’s easy! I draw on centuries of folk art and quilting designs for inspiration. I’ll never run out of unique and different subjects and motifs! 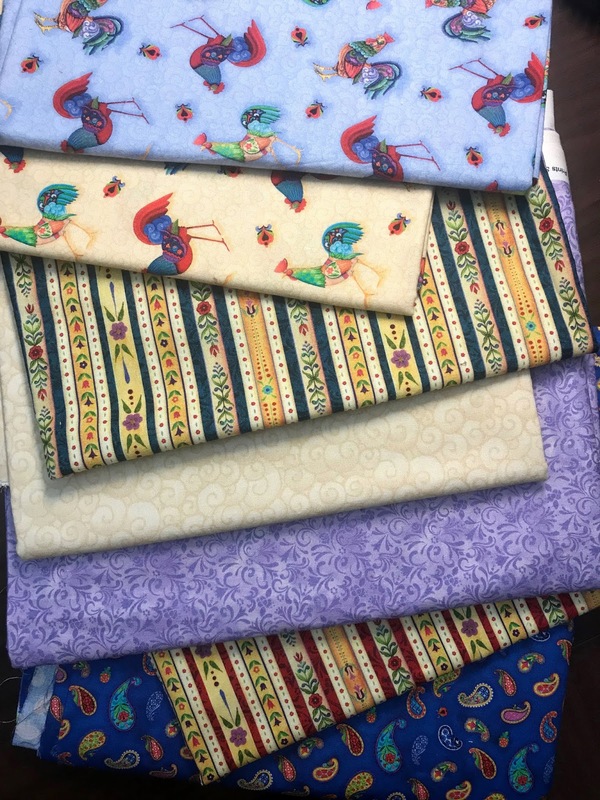 What do you like best about designing fabric? I love it that people will use my designs to create their own, unique art. Quilters are fellow artists, colleagues even. It’s flattering, humbling and exciting all at the same time that I’m providing some sort of material or inspiration for their work. Click here to see the entire Awaken the Day collection. I love Jim’s designs - the colors so match the theme. I still have some leftover fabrics from his Noah’s Ark range - I made quilts for two great-nephews with them.